This is the first hitter of the week honor for Finau this season and the third of career after receiving two last season as a sophomore. It is also the third time this season the Aggies have won the weekly award, Emma Adams and Corrin Green had won it previously. Finau finished the week with a .444 batting average, a 1.000 slugging percentage, a .524 on-base percentage, three home runs and 11 RBIs in six games played. She began the week by slamming a home run and finishing with three RBIs against Middle Tennessee during a mid-week game. Finau, who played her freshman season at San Diego State before transferring to NM State and is from nearby Chula Vista, Calif., returned home to lead the Aggies to a 4-1 record at the San Diego Sate Classic. She went 3-for-4 with two RBIs vs. Harvard. But her big game of the week came in the final one of the weekend, a 14-0 Aggie victory over San Jose State. Finau finished 2-for-3 against the Spartans with two home runs, three runs scored and six RBIs. She now leads the Aggie squad with nine homers on the season and 31 RBIs. 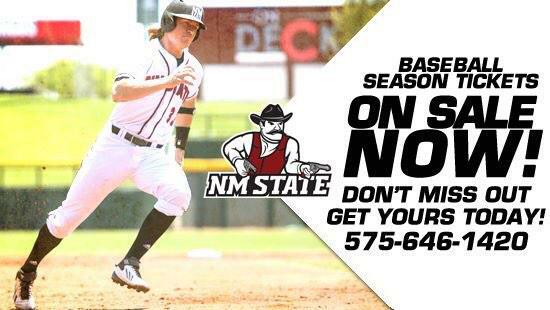 Finau and the rest of the NM State team have a big week ahead of them at the NM State Softball Complex. The Aggies begin the week by meeting I-10 rival UTEP on Wednesday beginning at 6 p.m. before welcoming one of the top teams in the country, Arizona, to Las Cruces for a doubleheader on Saturday with the first game set for a noon time start.